Alexa comes to Ultimate Ears Boom 2 and Megaboom | What Hi-Fi? You can now share some banter with your Booms, thanks to a new software update which brings Amazon's voice assistant onboard. Two of our favourite portable wireless speakers have just got even better thanks to a new software update that includes Amazon’s Alexa voice assistant. 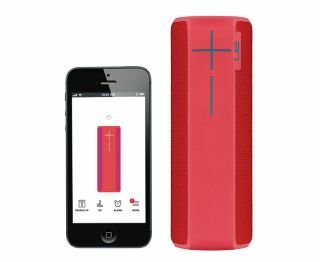 The added functionality will let UE Boom 2 and Megaboom owners take advantage of all that Alexa has to offer, much like the Amazon Echo does. You can ask your speaker to play music, set alarms and reminders, and even tell you a joke. We’ve long been fans of the Ultimate Ears wireless speakers for their expressive, musical performance, portability and ease of use, so the addition of Alexa support makes them an even more tempting proposition. The software update is available over-the-air through the UE Boom and Megaboom apps and rolling out now, so you’ll soon be able to enjoy the banter with your Booms. Amazon Echo vs Google Home - which is better?